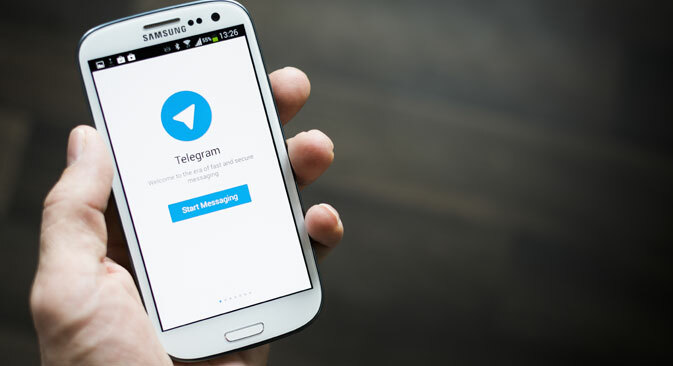 Pavel Durov, the man behind Russian social network Vkontakte and instant messaging application Telegram, has filed a lawsuit in the U.S. against a shareholder and his former partners in the Vkontakte project, accusing them of fraud and extortion. Experts have placed their bets on Durov winning the case, recalling Facebook’s lawsuit in 2004. Founder of Russian social network Vkontakte Pavel Durov has filed a lawsuit in the U.S. against his former partners in the project and a fund with a stake of almost 50 percent in Vkontakte. He accuses them of fraud and of extorting a stake in the instant messaging application Telegram. Durov and his two companies filed the case at the U.S. District Court for the Southern District of New York on April 30, 2014. The defendants in the case are the fund UCP (which owns 48 percent of Vkontakte) and its managing partner Ilya Shcherbovich, partners in the fund Victoria Lazareva and Yury Kachuro, and former Vkontakte employees Ilya Perekopsky and Axel Neff. According to the newspaper Vedomosti, in the lawsuit Durov tells the whole history of how the messenger service was created and developed, starting with the Russian Federal Security Service’s requests to delete protest groups in 2011, which served as an impetus to create an encrypted means of communication. Durov says that he himself financed the companies Digital Fortress, Telegram, and Pictograph, although their formal owner is Axel Neff, who dealt with organizational issues in conjunction with Vkontakte’s former vice president Ilya Perekopsky. Perekopsky and Neff received $4.8 million from Durov in 2012-2013. Durov had been planning to transfer Telegram to a nonprofit structure in March 2014, but he found out that Neff had passed the ownership rights over his companies to UCP. In effect, this meant that Durov’s former partners had attempted to secure control over the messaging app through illegal means. Durov is asking the court to compensate for his losses and to recognize him as the legal owner of Telegram, referencing the American Racketeer Influenced and Corrupt Organizations (RICO) Act. In turn, the defendants are accusing Durov of abusing his position of power as Vkontakte CEO to use the social network’s financial and technical resources to create Telegram. In connection with this, they are insisting that Vkontakte be compensated for financial damages and that the intellectual rights to Telegram be partially transferred. The size of the claims has not been disclosed. However, it is known that if Durov wins, under RICO, the amount of compensation will be tripled, regardless of the original amount. UCP partner Yury Kachuro told Vedomosti that Neff had the right to sell stakes in the companies that owned Telegram. “We categorically deny all of these flimsy charges and intend to continue pursuing Durov in the courts,” he said. In one of the lawsuits, UCP is seeking to transfer Telegram to Vkontakte. “The enormous amount of money that Facebook agreed to pay for WhatsApp is blinding those who want to own Telegram, and they think that the social network and the messenger are direct competitors,” said Ivan Streshinsky, a member of the board of directors of Mail.Ru Group (which controls 52 percent of Vkontakte) and USM Holdings. “I don’t think that’s the case. Facebook, of course, didn’t buy a technology or a competitor so much as an enormous audience and market leadership,” said Streshinsky. As direct participants in the process, Perekopsky, Neff, and Durov have not yet commented on the case. New York IP litigation attorney Nick Wooldridge says that Durov’s case has similar elements to the one that Facebook founder Mark Zuckerberg faced in 2004. While Zuckerberg handed over an undisclosed amount to settle, many feel he was ultimately victorious. VKontakte loses its founder: What's next? “Similar dynamics are at work here and Durov may be able to claim a partial victory — if not a total victory — in his case” – says Wooldridge. Durov’s case will be closely watched by people across from a variety of sections of global society — legal, technical, etc — and many are wondering if Russia’s answer to Mark Zuckerberg will be triumphant or defeated, Arkady Bukh, a Partner at Bukh Law Firm says. Expert also added that it’s impossible to predict how much influence the international community will have on this case. According to Bukh, the court filings do not augur well for Durov and he may not come out of court victorious. “He is not only up against a strong group of defendants, but possibly also the Russian government and Putin,” he says.